Graduates from the College of Agriculture and Natural Resources have seen many successes! Here are a few of the graduates we are proud to call alumni! 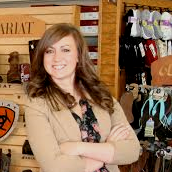 Brittany Schaneman graduated in 2012 and earned a Bachelor degree in Agricultural Communication and a minor in General Agricultural Economics. 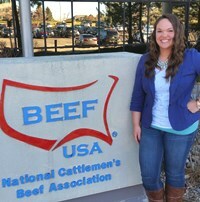 She is a Nebraska native who is currently working for the National Cattlemen's Beef Association... read more. 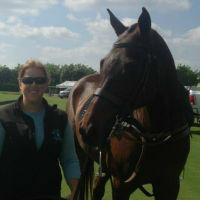 Sydney Horwitz graduated in 2010 with a degree in Animal Science and is now working in Florida and Colorado for a large polo company. She was a member of the Rodeo Team while attending UW and a recipient of the Western Undergraduate Exchange Scholarship program... read more. 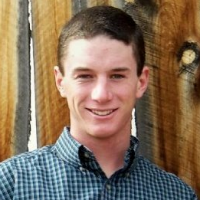 Wade Allnutt graduated in 2013 with a major in Agriculture Business and the option of Farm and Ranch Management. He is currently ranching and managing cattle in Walden, Colorado. During his time at UW he was an Ag. Ambassador, he was on the meat judging team and was involved in the Food Science Club... read more. Kati Stoll graduated in 2012 with a degree in Textile Merchandising from the Family and Consumer Science Department. She also received minors in Interior Design, Apparel Design from the College of Agriculture and Natural Resources. She currently is a territory representative from the H.H. Brown Shoe Company and is based out of Colorado. Kati was both an Ag. Ambassador as well as president of Phi U while attending UW... read more.